The Green LIONS Garden Group learned about the concept of “up-cycling” at its last meeting. Up-cycling is defined as “to process (used goods or waste material) so as to produce something that is often better than the original”. It is a great way to turn an item that is usually thrown out into something that can be re-used. Students learned how this choice can have a large impact on reducing what goes into our landfills. Students explored many different ways to up-cycle like turning empty hand soap bottles into hourglasses, chopsticks into trivets, forks and spoons into garden plant labels, and stuffing from old pillows into cloud art. They shared their own experiences of up-cycling and were inspired to start looking at everyday objects in a new light. Since our meeting was shortly after the winter holidays, we used Christmas tree needles to make aromatic sachets for an up-cycling project of our own. 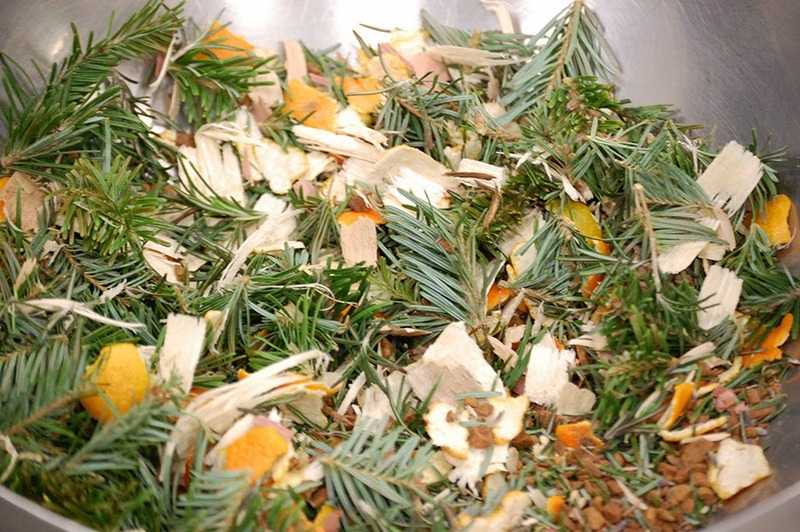 We combined tree needles, fresh rosemary, cinnamon bark, lavender buds, cedar shavings and even the peels from our clementine snack to make a wonderfully fragrant blend for sachets. Students measured out squares from fabric scraps, cut the cloth and then filled them with the herb blend. 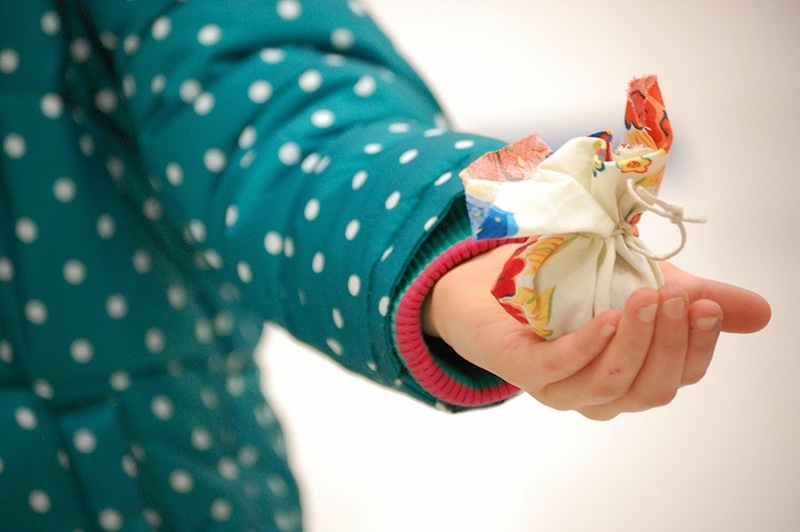 We have had reports of using them as fresheners for backpacks, the car, even a desk! Our worm bin made its second appearance at our meeting on its way between host classes at school. 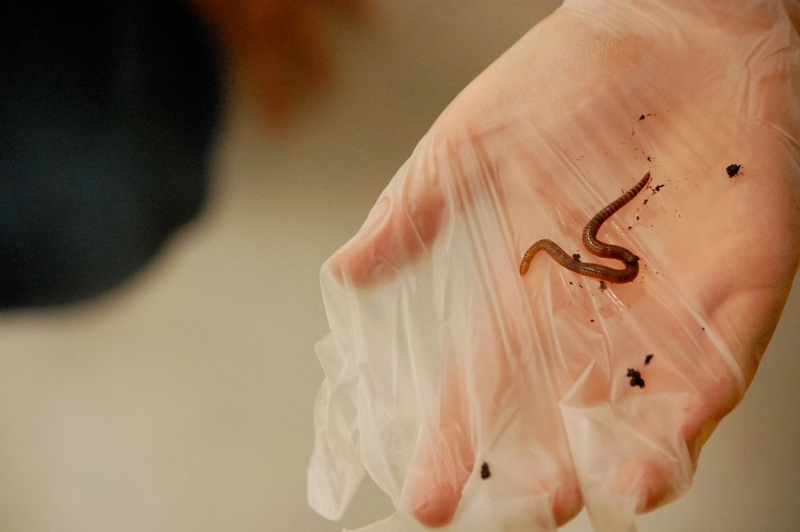 Red wigglers were passed out to 2-person teams and were gently observed and measured. Our worm bin is being cared for thoroughly by the various host classes at the school. Our fellow garden workers are being pampered to get ready for their fertilizing job in our spring garden.